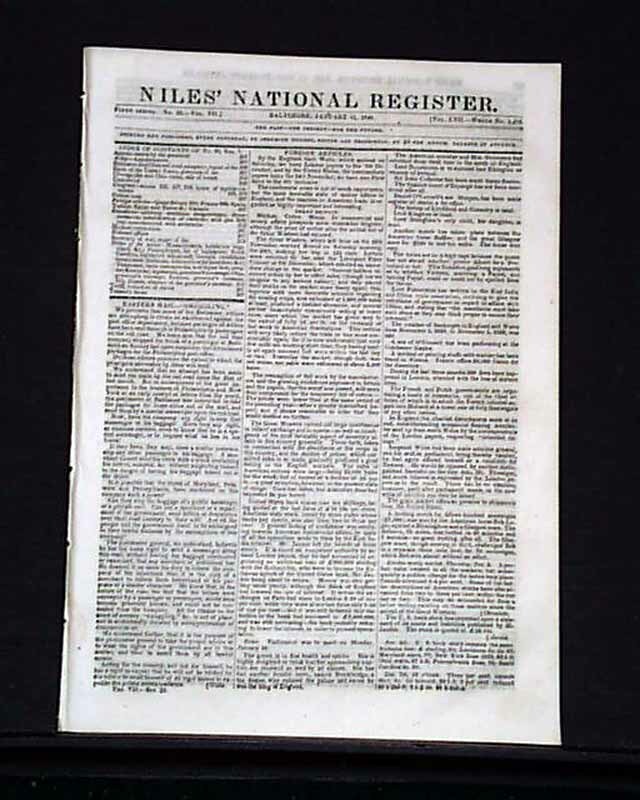 NILES' NATIONAL REGISTER, Baltimore, Jan. 11, 1840 The back page has a brief yet very significant item reading: "Mormons. The Mormons have purchased a tract of 20,000 acres at the head of the Des Moines rapids of the Mississippi, on both sides of the river, including the town of Commerce. 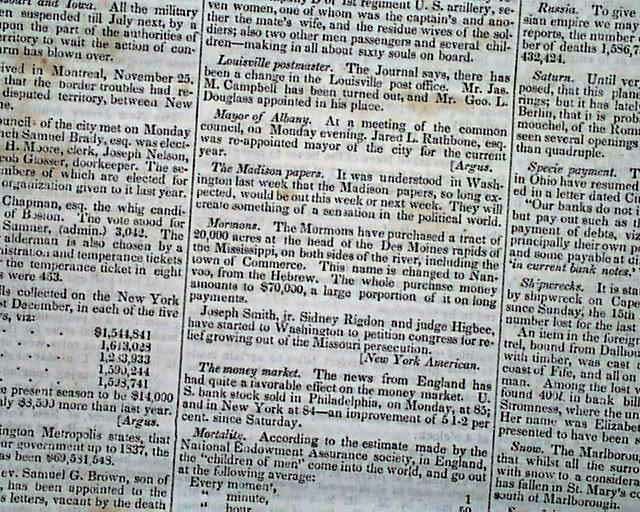 This name is changed to Nauvoo, from the Hebrew. The whole purchase money amounts to $70,000, a large proportion of it on long payments. 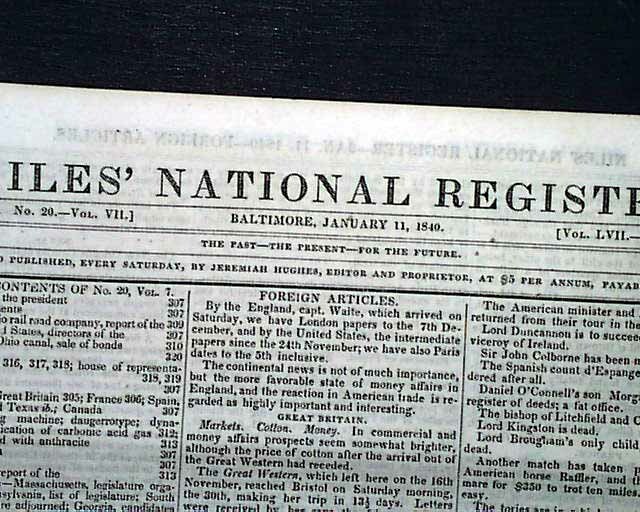 Joseph Smith, Jr. , Signey Rigdon and Judge Higbee, have started to Washington to petition congress for relief growing out of the Missouri persecution." Sixteen pages, 8 1/2 by 12 inches, very nice condition.